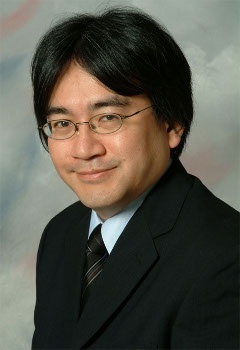 Satoru Iwata made some comments at GDC that have generated a number of strong opinions, including Michael Pachter's rather extreme comment. Nintendo President Satoru Iwata's comments at GDC this week have rubbed some members of the industry the wrong way, and they're not afraid to say so. Essentially, nobody agrees with the man, but exactly how much they disagree with him seems to be varying. The boldest statement came from industry analyst Michael Pachter. "Long-term, Nintendo is doomed," he said of the company's fight for the handheld market against iOS devices and smart phones. "He's under full frontal assault by Apple." Meanwhile, Iwata's keynote comments, that he feared the industry would be hurt by the current emphasis on making low-cost social games instead of high-quality titles, aren't being accepted by some rather high-profile members of the videogame industry. Jeff Brown, VP of corporate communication at Electronic Arts, didn't completely dismiss Mr. Iwata's opinions, but he didn't agree with them either. "He may be right, but then the 200 to 300 million people who play games on Facebook are wrong," he said. "Social gaming as a whole aggregates into a business that is undeniably big money. When it's that big you are forced to pay attention." Meanwhile, Brian Reynolds of Zynga was a bit more vocal with his disapproval. "I expected better from Nintendo," he said. "They are missing the point of what we are doing, We are making games that everyone can play and socialize on while playing." Personally, I think Iwata's comments bear some consideration, but it's a bit too early to determine whether or not he's right. That said, claiming that Nintendo is "doomed" seems like an incredibly rash judgment.